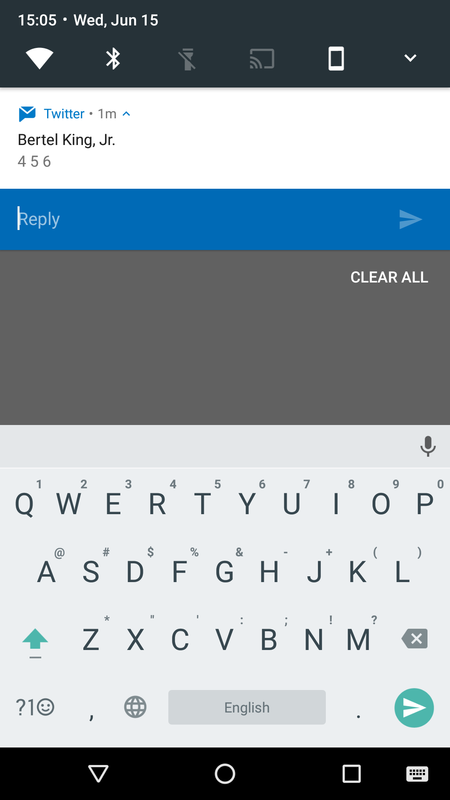 Several apps have been fast to adopt Android N’s new Direct Reply functionality for quickly sending out an answer to a message from the notification without having to open the app first. Hangouts, Facebook Messenger, and WhatsApp have all done this in the past few months and now it’s Twitter turn. After updating its interface to Material Design, the app’s developers seem eager to implement more native Android goodness, and have now added a button to quickly reply to Direct Messages from the notification. This doesn’t work for normal Twitter replies, just DMs, so it still won’t be too useful if you don’t do a lot of one-on-one communication on the service, but it’s a step in the right direction. That’s especially true if you have an Android Wear watch — the Direct Reply functionality overlaps with the Reply option in Wear so you’ll be able to dictate answers or draw emojis right from your wrist too. We don’t know what versions of the Twitter app are showing this though. 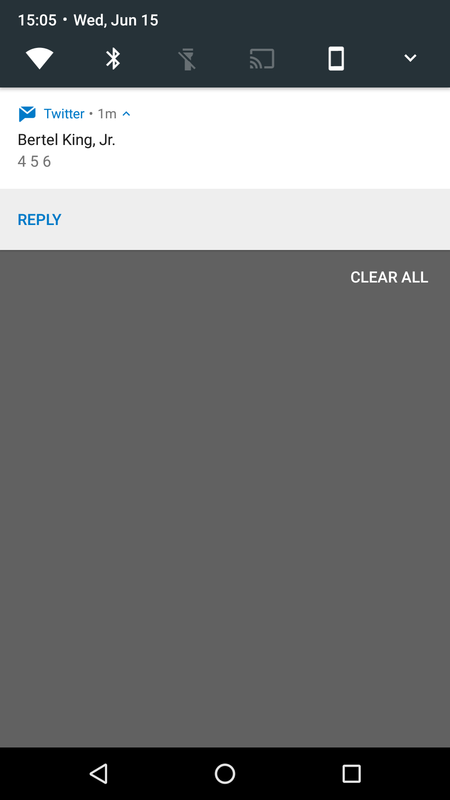 I’m seeing it on v6.3.0-alpha (which for some reason doesn’t have the new Material interface) on my Nexus 5X, but it could be live on older and more stable versions of the app too.